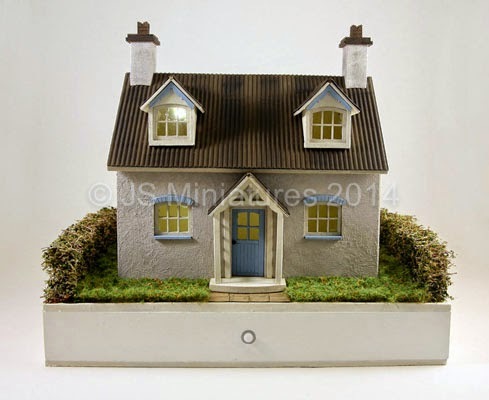 It's a familiar situation for many of us...You've built your house kit and added some lighting to really bring it to life but what do you do with the wires and the battery box? 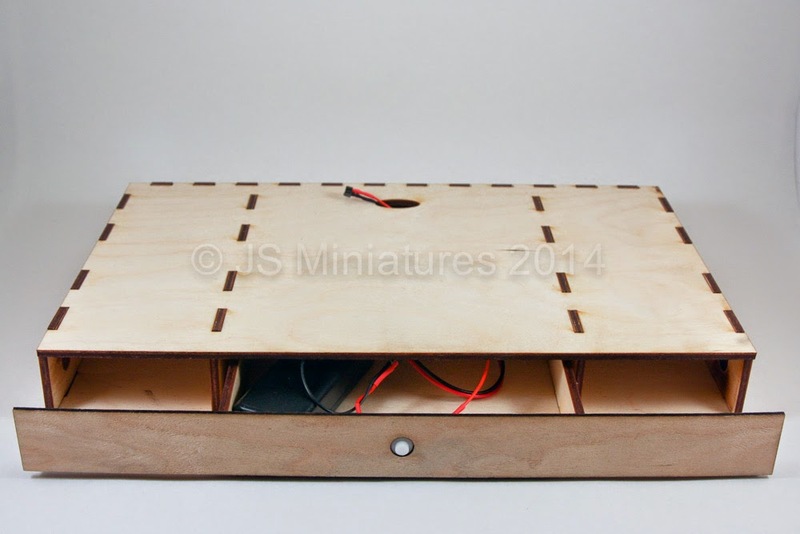 Well, the solution is often to make a base for the kit so you can hide the battery underneath and perhaps also add a garden or other landscaping but what if you could buy a base that was specially designed and had a concealed drawer to hide the wiring with an easily accessible on/off switch? 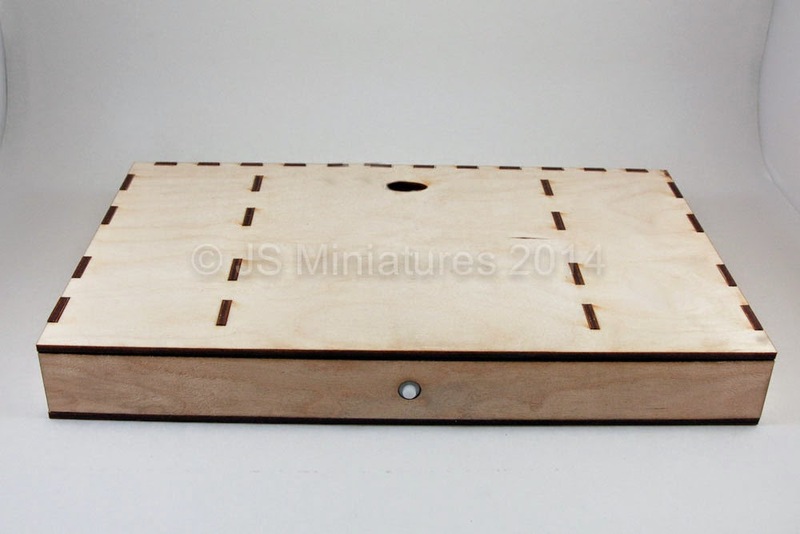 I have designed a couple of sizes of base kits that suit most 1/48th scale house kits or several smaller kits. 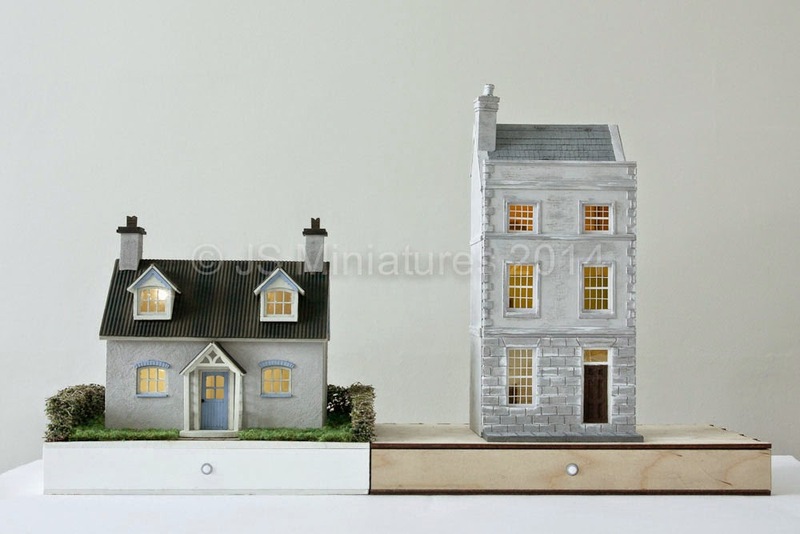 These are lasercut from 3mm ply and even have a concealed magnetic system so bases can be joined together to make a street scene. They are designed to be used with any lighting kit but if you already have or are buying one of my lighting kits then I provide an extension wire with micro plug connectors so the lighting kit can be plugged into the extension and then the battery and switch neatly fit in the drawer. The switch snaps into the hole in the front of the base for easy switching on and off of your lights. I have assembled some landscaping materials including kits to make hedging & shrubs, realistic grass and I've also designed a picket style fence with gate. These are not yet on the website but please contact me if you are interested. These materials are often sold in large quantities for model railways so I will supply smaller kits, with instructions so you have enough to do one or two bases and don't get left with a mountain of stuff you don't need!